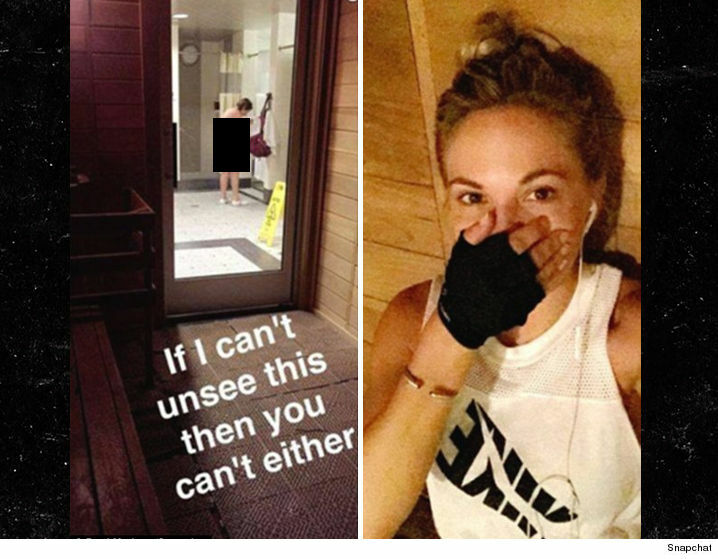 Model Dani Mathers screwed up, big time. 2015's Playmate of the Year ended up losing her job this week after going out of her way to body shame a woman at the gym. It all began when Mathers posted these two pictures to her Snapchat that showed a woman in the sauna at LA Fitness. After the model's snap began to generate conversation on social media, Mathers ended up posting a video on YouTube to address the photos. In the video, she insisted it was "wrong" to post them and it was not what she "meant to do." Still, her attempt at pulling off damage control appears to have failed. Mathers was suspended indefinitely on Friday by her bosses at KLOS-FM, a radio station in Los Angeles, where she worked on the "The Heidi and Frank Show with Lisa May." LA Fitness got involved, too. A spokesperson told TMZ the company already notified police as such an invasion of privacy could, as The Cut mentions, get her in trouble with the law. Meanwhile, TMZ reports she has been banned from all LA Fitness locations nationwide. Her behavior is appalling and puts every member's privacy at risk. We have handled this internally and also notified the police. Whether she meant to be as mean as possible or just had a moment of terrible judgement -- it looks pretty safe to say posting those snaps was not worth it.